Supplementary Examinations for the Pre-Ph.D/Pre-M.Phill/Pre-MS will be held on 09th & 12th March – 2018 from 2:00 PM to 5:00 PM for Paper-I and Paper-II respectively. The students who appear for the above examinations are to note that the on-line registration for University exam will be carried out as per the time schedule given below. The details of portal for on-line registration and payment of Examination fee are enclosed herewith. On-line registrations will be closed strictly at 5:00 PM on the respective last dates as per the above schedule. Online Registration particulars and procedure: The Pre-Ph.D/Pre-M.Phill/Pre-MS students who wish to apply for the University examination are informed to note the following procedure for selecting the subjects of Paper-I and Paper–II and for making the Exam fee payment of the of Pre-Ph.D/ Pre-M.Phill /Pre-MS examinations. 2. Create your registration account before carrying out Pre-Ph.D/Pre-M.S subject registration, if you have not registered earlier. 3. Upload your pass-port size digital photograph while doing registrations. (If not uploaded earlier.) Ensure that the quality of the digital photo is very good. The uploaded photograph must be in the jpg (JPEG) format. If it is in other format, it should be converted to JPEG format and photo file size should not exceed 2MB. 4. Obtain the printout of the Pdf file corresponding to your subject registration details from the same registrations portal. 5. Make the payment online, either by using the payment gateway using Debit / Credit card and Internet Banking or by using the challan of SBI JNTUH Campus branch. 6. The photo copy PDF receipt generated (incase of payment by payment-gateway) or the University copy of the SBI JNTUH Campus branch (in case of challan payment) should be taken. 7. The copy of the printout of the registration receipt (item 4 above) and the payment receipt (as in item 6 above) should be tagged/stapled and send it by post/ in person to ACE(O), Second Floor, Examination Building , JNTU Hyderabad, Kukatpally, Hyderabad, 500 085. 8. The students are informed to download the hall-tickets from the same portal using the ‘Download Hall-ticket’ service from 5 days before start of examinations. 9. For any queries related to online registration/payments please contact SDC at the Phone no: 9989980170, 9704033577. All the candidates are informed to carry their identity cards, while writing their examinations and whenever they visit the Directorate of Research & Development Cell for any query or for getting any certificates/marks memos. 1. The candidates are held personally responsible for all the entries made in the online application form/hall ticket and any incorrect information or information suppressed will entitle disciplinary action against the candidates. 2. 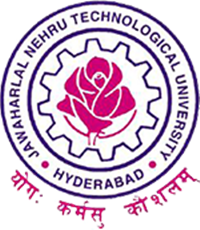 The Results of examinations will be informed only through website www.jntuh.ac.in. The original marks memos can be collected from the Directorate of Research & Development Cell, after the declaration of the results. 3. Examination centre for Pre-Ph.D/Pre-M.Phill/Pre-MS examinations is in the University campus at JNTUH College of Engineering Hyderabad, Kukatpally, Hyderabad.